Obituary for Amanda J. McBride | Shore Point Funeral Home and Cremation Services, Inc.
Amanda J. McBride, 29, passed away on November 5, 2018. 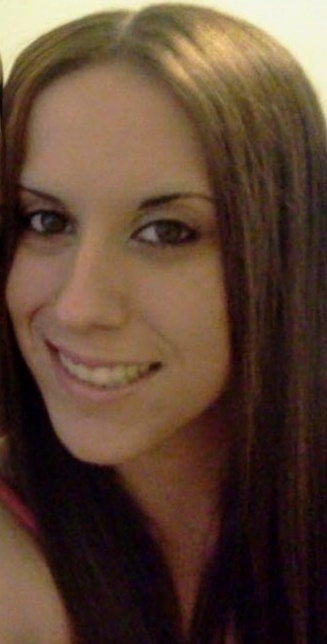 Amanda was born on June 21, 1989 and was a resident of Hazlet. She graduated from Raritan High School in 2007. Amanda Moved to Ithaca, New York in 2011 to be closer to her best friend and sister, Danielle McBride. She enjoyed morning coffee with her Mom and sister and spending time with her nephews and nieces. Amanda had a beautiful, artistic, soul and loved listening to music and drawing. She had a passion for animals and volunteered at the local ASPCA. She was obsessed about everything and anything to do with Batman. Even though she moved to New York, in her heart she always took pride in being a "Jersey Girl". Amanda is survived by her loving parents, Marie Joan Coutu and Charles McBride and his wife, Christine McBride, and her half siblings, Jessica and Charlie McBride. She is also survived by her sister and best friend, Danielle McBride, brother-in-law, Joshua Vandeerpool, and her five cherished nieces and nephews, Jayson, Justin, Journey, Jaxon and Jordan. She will always be remembered in the hearts of her dear aunts, uncles, and cousins. Amanda will be missed immensely, but never forgotten. Family and friends are invited to visit on Friday, November 9, 2018 from 4:00 to 8:00 PM and Saturday morning, November 10, 2018 from 10:00 to 10:45 AM at the Shore Point Funeral Home and Cremation Services, Inc., 3269 State Highway/Route 35 North, Hazlet, New Jersey 07730. A prayer service will be offered at the funeral home during visitation hours. Interment will take place on Saturday, November 10, 2018 at approximately 11:30 AM at Mount Olivet Cemetery, 100 Chapel Hill Road, Middletown, New Jersey 07701. In lieu of flowers, donations in loving memory of Amanda can be made to Cayuga Addiction Recovery Services, P.O. Box 724, Trumansburg, New York 14886. For information, directions, or to send condolences to the family, please visit, www.shorepointfh.com.